Trace mix is a mineral fertiliser which is a formulation of several trace elements. These elements can be utilised to improve growth and bloom development and improve plant condition eliminating deficiencies of trace elements. 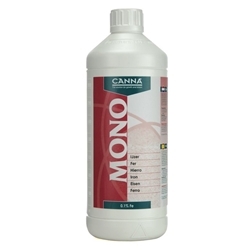 Canna Mono Nutrients have been created to all individually provide additional nutrients and minerals that your plants may need. This mono range is ideal as they cater to a wide range of deficiencies your plants may have targeting their specific needs. 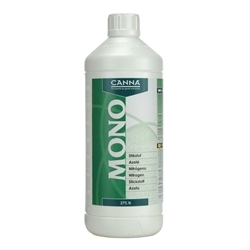  Nitrogen This product can be simply used to help with Nitrogen deficiency or as an additional enhancement to improve plants energy and metabolism to encourage rapid growth.